D. Hardison Wood is a North Carolina crashworthiness attorney who focuses his practice on products liability, professional negligence, and other complex personal injury litigation. Mr. Wood also represents small businesses; offering counsel on contracts, vendor disputes, partnership issues and more. Mr. Wood was born and raised in Winston-Salem, North Carolina. He graduated from St. John’s College in Annapolis, Maryland with a double major in philosophy and the history of mathematics and science. Mr. Wood earned his law degree from the Benjamin N. Cardozo School of Law in New York, New York. Upon returning to North Carolina, he founded the Law Office of D. Hardison Wood and is the firm’s sole shareholder. Since passing the bar, Mr. Wood has spent a majority of his practice to representing injured victims of negligence. One of his very first cases out of law school was a 15-passenger van rollover involving fatalities and serious injuries. The case took years to bring to a successful conclusion against the van’s manufacturer, and it gave Mr. Wood deep insights into catastrophic injury litigation early on in his career. Mr. Wood has been named to the 2017 U.S. News & World Report Best Law Firms Best Lawyers list. This recognition is based upon feedback from clients and lawyer evaluations and peer reviews, mainly in areas of expertise, integrity, responsiveness, cost-effectiveness, civility and referrals. The Law Office of D. Hardison Wood has also been named to the U.S. News & World Report 2017 Best Law Firms in North Carolina list. Mr. Wood is also a member of the Million Dollar Advocates Forum, whose membership is limited to attorneys who have won million and multi-million dollar verdicts and settlements. Less than 1% of U.S. lawyers are members. He was also a recipient of the Litigator Award for Wrongful Death, received a Rue Ratings Best Attorney award and was named on the list of Super Lawyers 2015 Rising Stars and Super Lawyer 2018. 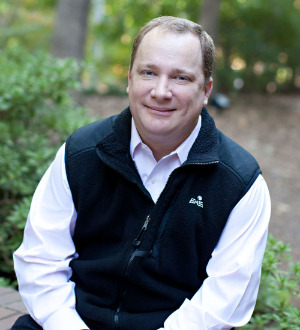 From 2012 to 2013, Mr. Wood served as a member of the Board of Governors for the North Carolina Advocates for Justice (NCAJ) as well as the Chairman of that organization’s Products Liability section. He was appointed to this position again for the 2013-2014 term. He is frequently a guest speaker and lecturer at NCAJ sponsored CLE events and he remains active on the Membership Committee for the NCAJ. The National Trial Lawyers organization has also honored Mr. Wood as a Top 100 Trial Lawyer. The National Trial Lawyers organization is composed of premier trial lawyers from across the US. These lawyers show superior qualifications as civil plaintiff or criminal defense trial lawyers. Currently, Mr. Wood lives in Wake County with his wife and their children.